If you would like to achieve a more toned, flat stomach, then a tummy tuck may be the ideal procedure for you. Abdominoplasty removes loose skin and excess fat, and tightens abdominal muscles to produce what are often dramatic results that can help you look and feel your very best. Scottsdale plastic surgeon Dr. John Corey has found that the best way to achieve exceptional tummy tuck results is to sculpt the entire waistline, not just the abdomen. By doing this, you may be able to drop several pants sizes and feel more confident showing off your body when wearing form-fitting clothing or a bikini on the beach. This page will provide you with an overview of the tummy tuck procedure, but it cannot make recommendations about your specific case. In order to find out whether a tummy tuck is right for you, please contact our Scottsdale plastic surgery office online or by calling 480-767-7700 and schedule a consultation with our board-certified Arizona plastic surgeon. Dr. Corey welcomes patients from Phoenix, Mesa, Chandler, Tempe, and all surrounding areas. Scottsdale plastic surgeon Dr. John Corey offers both full and mini tummy tuck options, enabling him to meet the exact needs of every patient we see. The technical difference between these two types of abdominoplasty is that no incision is made around the belly button and nothing is done to the upper abdomen with a mini-tummy tuck. This helps reduce scarring, trauma, and recovery time. The mini tummy tuck is best for men and women who feel good about most of their abdomen and may only have a small flap of extra skin that hangs over down at the bottom of their belly. During your Scottsdale tummy tuck consultation, our plastic surgeon will discuss this option if it is suitable for your needs. There are some patients for whom a full tummy tuck is unnecessary, but a mini tummy tuck will be inadequate. For those patients, Dr. Corey often recommends the “Maxi-Mini.” Similar to a full tummy tuck, the Maxi-Mini tightens abdominal muscles and repositions the belly button. However, like the mini tummy tuck, this technique only removes a small amount of skin. Alternately known as a “belly button float,” “belly button slide,” or “mini-tummy tuck with umbilical relocation,” the Maxi-Mini utilizes incisions that are between a full and a mini tuck, and borrows suitable procedural steps from each. Additionally, Dr. Corey can perform a reverse abdominoplasty, which tightens the skin just above the belly button all the way up to the breasts. Fully customizable by our board-certified plastic surgeon, there are many techniques that Dr. Corey may use to optimize your results. The best way to learn which abdominoplasty options are right for you is by calling 480-767-7700 to schedule a consultation at our Scottsdale plastic surgery office today. In the meantime, you can get a better understanding of the results that can be achieved by various tummy tuck techniques by viewing our tummy tuck before and after gallery. Of course, long-term tummy tuck benefits will depend on how you choose to live following your procedure. If you need assistance with planning a healthy diet and establishing an exercise routine, we can schedule you time with the dieticians and personal trainers who work with our surgical boot camp patients. This is also an excellent option for men and women who would like to undergo tummy tuck surgery, but are not yet good candidates. Abdominoplasty is an ideal way to remove excess skin, fat, and stretch marks from your midsection. With this procedure, board-certified Scottsdale plastic surgeon Dr. John Corey can tighten abdominal muscles, trim overhanging and loose skin, and tone your belly, providing a firm and attractive physique. Many people look to tummy tuck after weight loss surgery, but it is not necessary to have lost significant amounts of weight prior to abdominoplasty. Women who have had children or anyone who dislikes the presence of extra skin and fat around the stomach can benefit from abdominoplasty as well. Good candidates for tummy tuck surgery should have loose, heavy folds of skin around their midsection. If you only have a little excess fat, liposuction or a mini tummy tuck may be a less invasive and equally effective treatment. Dr. Corey will help you determine which body sculpting procedure is best for your frame during your initial consultation at our Scottsdale plastic surgery office. 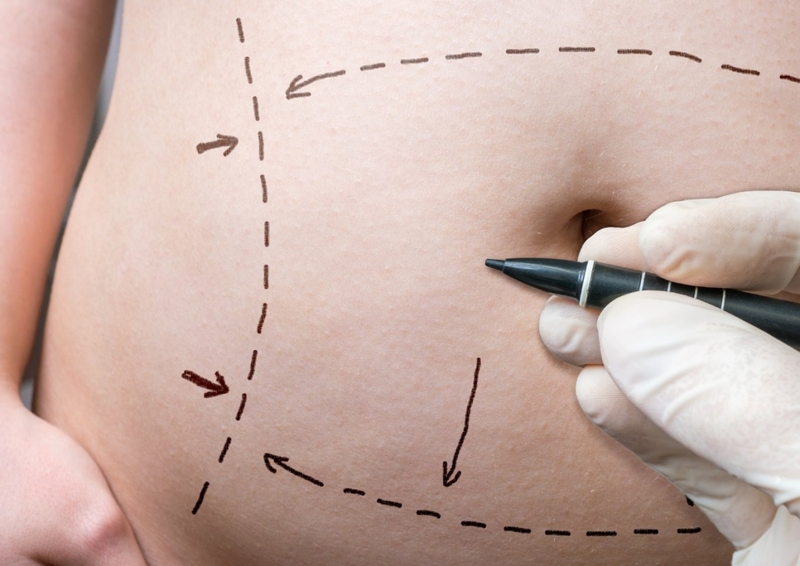 All of these things must be taken into account to determine if you are a good candidate for abdominoplasty, and the best way to determine your eligibility for this procedure is through an initial consultation at our Scottsdale plastic surgery office. Your recovery following your abdominoplasty will be dependent on factors such as the type of tummy tuck that was performed, your body’s natural healing ability, and your willingness to follow all of our Scottsdale plastic surgeon’s postoperative advice. Dr. Corey will work closely with you during your recovery phase and be available to address your concerns, but you must follow his advice to help ensure the safest and quickest recovery possible. Immediately following your surgery, Dr. Corey will apply surgical dressing and a drain to remove any residual surgical fluid. Unless liposuction was performed, you will not be required to wear an abdominal binder. In addition to the surgical drain, Dr. Corey will insert a pain-pump. Your pain-pump will help keep your abdomen free of discomfort during the first four to five days of your recovery. Pain, bruising, and swelling are common following a tummy tuck – even a mini tummy tuck. Pain can initially be dealt with through the pain-pump. Dr. Corey may also prescribe medications to assist with discomfort after your pain-pump has been removed. Swelling may last for three to four weeks. Dr. Corey will provide you with instructions on how to minimize unnecessary swelling. Bruising will subside on its own, but this may take upwards of two months depending on your body’s healing ability. Work can generally be resumed within ten to fourteen days – fewer if you’ve had a mini tummy tuck – but strenuous physical activity will need to be avoided for up to six weeks. While you should be able to engage in mild activities such as taking walks around day seven, you do not want to over exert yourself or place undue strain on your body. If you have children, you may wish to arrange for an adult to help you for the first seven to ten days, allowing yourself plenty of time to rest. Your final results may take up to six months to be fully realized. During this time you can begin to enhance your results by engaging in healthy activities and eating a well-balanced diet. When made during recovery, lifestyle changes may be more likely to stick, enabling you to sustain your tummy tuck results indefinitely. Dr. Corey will discuss exercising after your plastic surgery procedure to help ensure you have the tools you need to maintain your results for a lifetime. A tummy tuck is one of the most effective ways to significantly improve the appearance of your entire midsection. With an ability to remove excess and loose skin, firm weakened abdominal muscles, and even eliminate the appearance of stretch marks, tummy tuck surgery is a fantastic option for women undergoing a mommy makeover or for people who have lost significant amounts of weight and want to reclaim their body. As with any plastic surgery procedure, your choice of plastic surgeons will play a role in your safety, comfort, and final aesthetic results. Taking time to choose the right tummy tuck surgeon will help ensure you receive the best treatment possible. Voted a Top Doctor by RealSelf.com, one of the top doctors in Mariposa County by fellow physicians, and twice voted a “Top Doc” by his peers in Phoenix Magazine, Dr. John J. Corey is a highly respected plastic surgeon serving Scottsdale and all of Arizona. 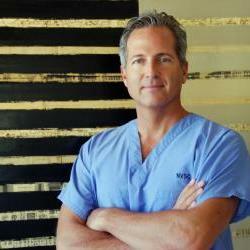 Board-certified by the American Board of Plastic Surgery and a member of both the American Society of Plastic Surgeons and the American Society of Aesthetic Plastic Surgeons, Dr. Corey has nearly two decades of experience helping men and women in our area achieve their goals through abdominoplasty and other aesthetic surgeries. While his patient testimonials speak for themselves, Dr. Corey would welcome an opportunity to meet with you personally, answer any of your questions, and help you determine if he is the best tummy tuck surgeon for you. Please use our online contact form or call 480-767-7700 to schedule your consultation at our Scottsdale plastic surgery office today. We serve men and women living in all areas of Arizona including Gilbert, Chandler, Sedona, Flagstaff, Glendale, and Yuma. Get directions to our office from your exact location!